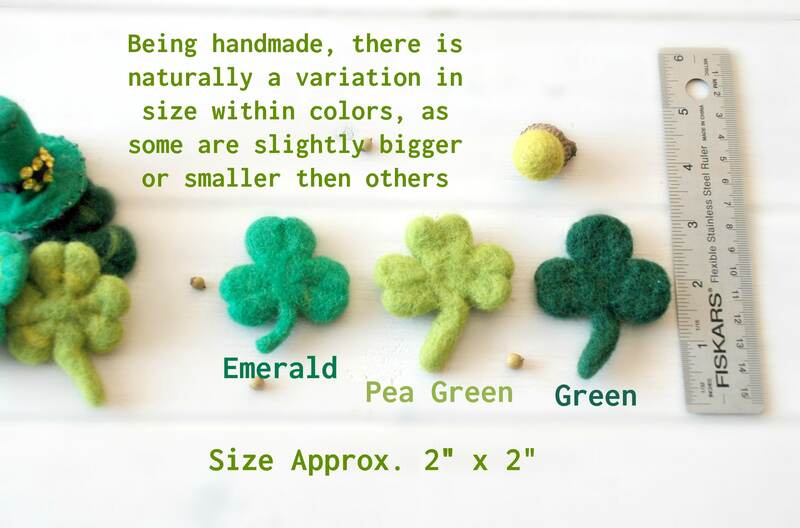 IMPORTANT: Color PEA GREEN needs a lot of TLC as is not so nicely shaped and that is why this color is on SALE for $0.40 cents, each clover and is a FINAL SALE - Refer to Image #3!! if you know how to felt... then you could fix them up a little bit. I am working with my supplier to design a better version of these Clove as I am not really happy with them. The Emerald and Green colors are ok. Cute Clovers... perfect for your St. Patrick's day decor!! You can add them to party hats, garlands, flower decors, etc. The Clovers have a line in the middle in the back side, so you can use them as you like the best, solid or with the decor line! 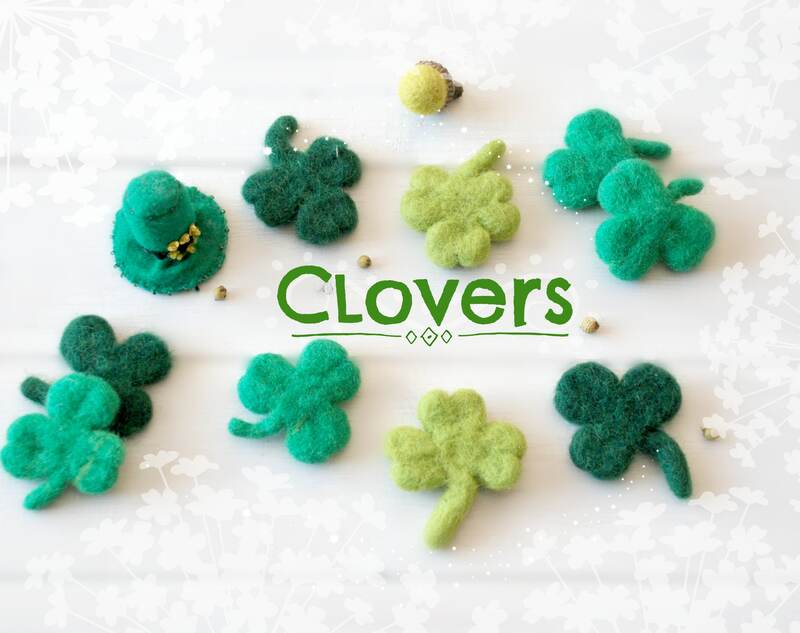 These felt Clover are 100% Handmade in Nepal and are dye with Azo-free dyes.